NEW Vegetation maps for central-southern New South Wales incl. descriptions for 100 plant community types. Australia’s national soil databases can now be accessed through new iPad app called SoilMapp. Proceedings NSW Linear Reserve Environmental Management Forum hosted by NSW Roadside Environment Committee. Revised Guidelines for Reintroductions & other Conservation Translocations by IUCN. Free download. 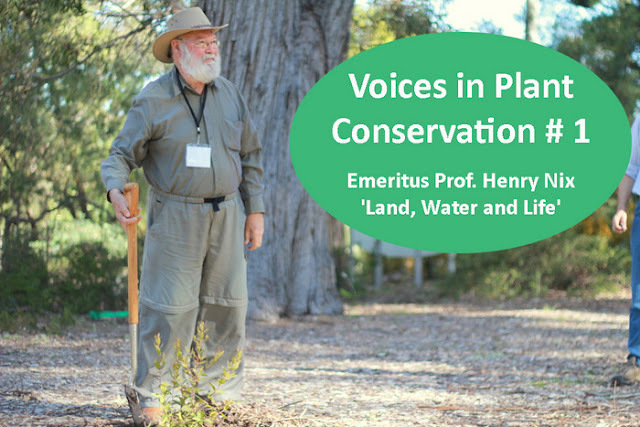 NEW Revegetation Guides from Greening Australia for a range of veg community types. Interested in selecting species for biodiverse plantings? This paper describes how to use the freely available ‘Atlas of Living Australia’ (www.ala.org.au) to help species selection under climate change. Wildlife and Climate Change: Towards robust conservation strategies for Australian fauna. Free forum proceedings. Guidelines for how to identify, assess and manage Grey Box Grassy Woodlands and Derived Native Grasslands. 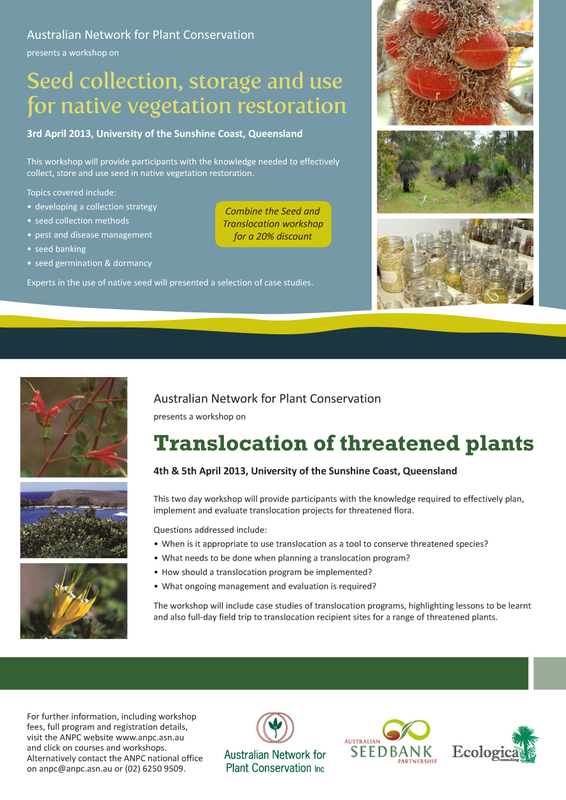 Directory of Community & Native Plant Nurseries in Queensland by Landcare QLD. Planting methods matter for cost-effective rainforest restoration. New research outlines how keystone species concept can be applied to communities & ecosystems. Mistletoe key to health & restoration of woodlands. Research highlights importance of conserving ecological processes - not just trees. Direct seeded stands simplify with age, becoming less dense & less diverse. Recent Research: Big Scrub: What progress has been made in 35 yrs of restoring the Big Scrub. Rethinking the conceptual foundations of habitat fragmentation research. Australian Flora Foundation grants for research on biology and cultivation of Australian plants. 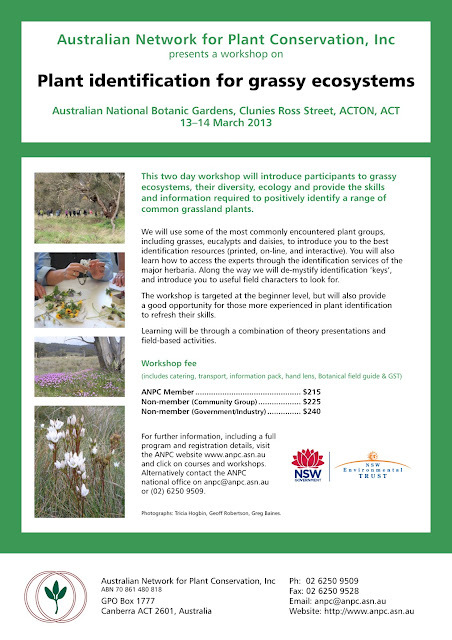 EOIs for NSW Env Trust Environmental Research Program close 15 Feb.
Australia's First National Education for Sustainability Conference Sydney 7-9 Feb 2013. Trust For Nature Bush Business Breakfast: Celebrating Women in Conservation – 7 March 2013 Melbourne. Beyond Corporatisation: Reinventing Community Organisations for a New Century. 25 March 2013 Melbourne.